The growing development of the Camp's activities and the increasing number of children and families hosted from the beginning to today, for the reasons explained above, have determined the necessity to proceed towards an expansion of the Camp through the renovation of property and pre-existing spaces and the neighboring "Farm Area", to create a multifunctional area designed for a variety of recreational, educational and sport activities. With reference to this project, the real estate has a size of 335 sq. m., where 3 classrooms + 1 "coffee and relax area" (to be considered as 1 classroom from an operational point of view) will be created. Specifically, the Nando Peretti Foundation's contribution will cover part of the costs of one classroom. This classroom will be in memory of Senatore Mario d'Urso, who was so committed to Dynamo Camp's Mission. •	every child and family's member who will join the Camp from 2016. Additionally, these investments are included in a relevant partnership agreement with Regione Toscana, through the remaining part of the preceding European Commission Program (FESR 2007 - 2013). Every work is carried out following sustainability criteria, both economically and environmentally, using alternative energy sources. The Nando Peretti Foundation has awarded a grant for this project. The short-term achievements of this project are being able to cope with the significant increase in children and families hosted at Camp, and thus having to create more efficient services. In the long-term on the other hand, the classrooms will guarantee an available space for activities for both children and families all year round thus enabling them to fully benefit from Recreational Therapy, in a more constant way. The benefits of this form of therapy are noticeable not only physically but also psychologically, this is because children go back to having fun, laughing, and playing sports. They go back to being children, they learn to access their inner strength and potential, to share their experiences and fight for their fears. All this nurturing context strongly acts on the psycho-social aspect of these children, as well as their emotional sphere too, helping them face the prospect of treatment with more energy and positivity. Another important outcome is related to the multiplier effect the "Institute for Social Business will create", both from a cultural and a numerical point of view. 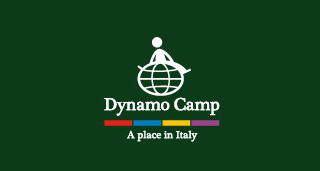 In fact, this is an innovative project, which will act as a catalyst of students coming from international environments: the geographic area of the Camp (Montagna Pistoiese) will take advantage from this.